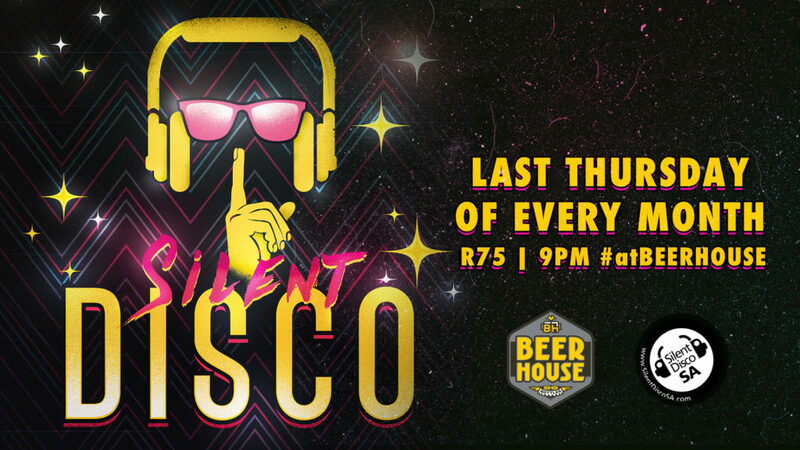 The #QuietRiot makes its May stop at Beerhouse Fourways on Thursday the 31st of May! Let’s take a trip down memory lane with this 80’s, 90’s, 00’s themed #SilentDisco! Powered by Beerhouse and Silent Disco SA! The Beerhouse #SilentDisco is the coolest, weirdest, freshest, and overall most unforgettable experience of a life time. Three DJ’s will have you flicking through the channels and dancing like crazy. This is a great party with over #25taps and #99bottles of beer and off course a great selection of spirits and wines that will help you to squeak some takkie.